The price of fuel keeps soaring, premium is selling for a whopping ten dollars and forty nine cents per gallon. Just about everything is going up and if you ride the City, bus you might just have to dig deeper in your pocket. 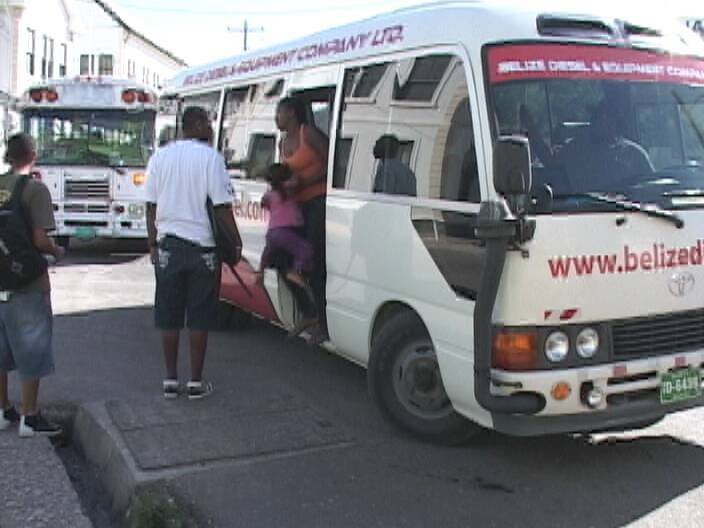 Since Wednesday, a number of commuters, adults as well as school children, have been paying double the fares for a certain route. The price hike was sneaked in by Arrowline, a new service owned by David and Tony Novelo for a route we are told, has not yet been approved by the City Council’s Traffic Department. 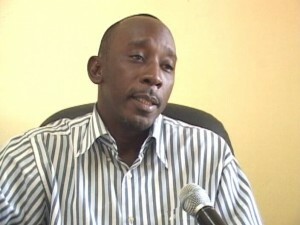 News Five Marion Ali has this story. Belize City residents who use the city buses, primarily the Downtown run that goes to West Landivar, are concerned over what seemed to them to be an overnight price hike. Commuters say that the price hike from a dollar for adults has been doubled to two dollars and a dollar for children. 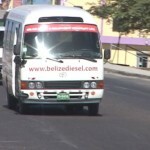 They also say that the buses charging the new prices are the ones operated by Lopez Shuttle, owned by Carlos Lopez. 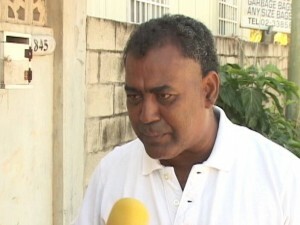 But when News Five tracked down Lopez today, we discovered that he has nothing to do with the new prices or the buses. 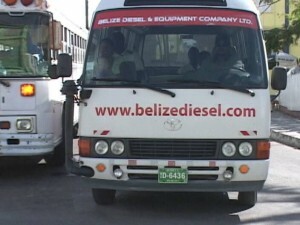 So why are those new buses marked Belize Diesel, no longer being operated by Lopez, you might ask? 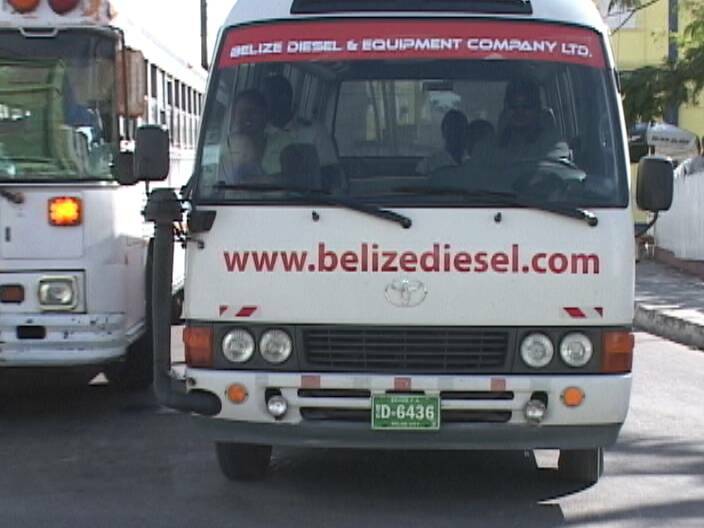 The reason is all financial, and Lopez’ competitor, has now leased those very same buses from Belize Diesel and is now operating them under a new company, Arrowline. Arrowline has introduced a new run that has its buses traversing along the same path as Lopez’, and is charging two dollars instead of a dollar, for the air-conditioning comfort that it provides. But it is a run for which the Traffic Department is still awaiting a proposal from the operators of Arrowline, according to City Manager, Kevan Jenkins. Jenkins could not confirm with us if under the current traffic regulation a bus company can introduce new prices. Whether it does allow for it or not is not as important as the fact that commuters need to know which bus they’re getting on and how much it costs to reach work, school or home. Marion Ali for News Five. WHY ARE THE NOVELOS STILL IN THE TRANSPORTATION BUSINESS????????????? At some point the City Council or GOB will set up some guidelines & stick by them. We can walk from one end of the city to another in less than an hour & we cannot get a decent affordable bus route together. Two weeks ago, the bus operators were fighting with each other, last month another went into receivership but was still operating one of their subsidiaries. Now we are asking the people who depend on their services to pay more without giving them notice. And how are the passengers supposed to know which company is operating what buses. This is so convoluted & wreaks of a scam. I have very little to do with Novelo’s or the transportation industry, but I feel like I could $#@@! the suckers, can’t believe somebody closer and dependent on buses hasn’t done it yet!!! Like Earl says…. WHY ARE THE NOVELOS STILL IN THE TRANSPORTATION BUSINESS?????????????!!!!!!!!!!!!!!! Those tow thieving b***ards shouldn’t be allowed to run a bath. let alone a bus company. 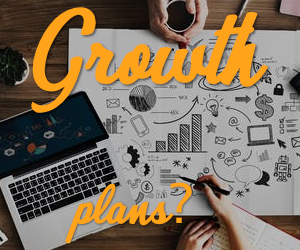 They have proved time and time again, that they are incapable of running a business. 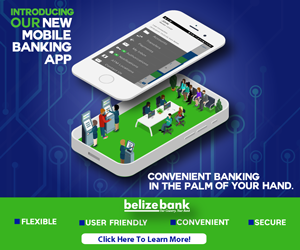 they are in receivership with Belize Bank, and owe Belize and Belizeans 30 MILLION Dollars, yet, they are running busses in Belize City. What are we paying the Ministry of Transport for? They haven’t done a single thing in years, except for mess public transport up, in favour of firends and cronies, and to the detriment of the public. 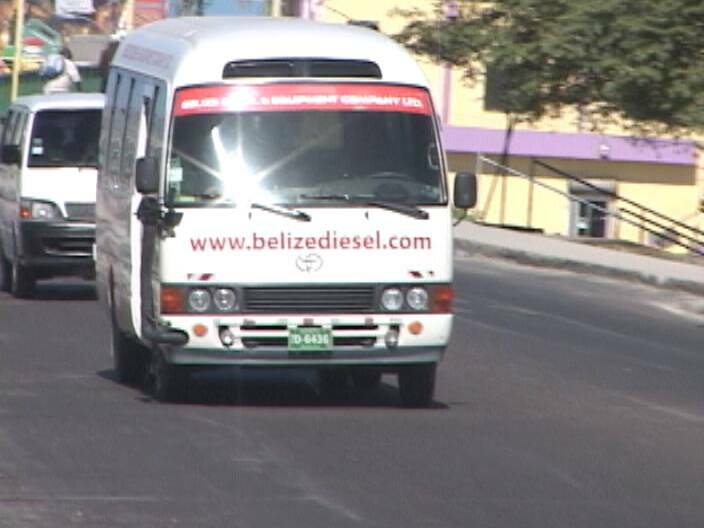 there is not one single reliable bus service in Belize, and most, if not all the busses on the road, apart from the ones that carry cruise ship tourists are death traps. A deadly major accident is waiting to happen. Not a case of if, but when, and dozens will lose their lives. the drivers may have Public Transport licenses, but most were bought, not earned, and I’ll wager that very, very few were ever tested.